I wondered when the smaller Gran Turismo would be arriving. I imagine there will be a few like me who can’t wait to unwrap the present, anticipating the drive in the new BMW 3 Gran Turismo. Like the bigger 5 Gran Turismo, there is a stronger presence about the Gran Turismo lines compared with the 3 Touring and 3 Sedan versions. A bold, lengthy roofline gives the impression of more speed, more performance and even more allure. Let’s get a little closer to the BMW 3 Gran Turismo and see why the Gran Turismo experience is a big step up in driving intensity and appeal. A softly sloping roof line is distinctive and typical of the classic coupe silhouette we all enjoy. The longer roofline that makes the BMW 3 Gran Turismo so attractive actually increases the space you’ll find in the car’s interior. Lifting the boot lid up on the 3 Gran Turismo reveals a copious amount of space that swallows a couple of golf bags or several suitcases with ease. I love the bold, wide kidney grille at the front and the lavish use of chrome on the BMW 3 Gran Turismo exterior. Judging by the level of attention one gets while driving the BMW 3 Gran Turismo, the styling is bringing plenty of approval. Inside the BMW 3 Gran Turismo, is a highly desirable and modern design package. There is sumptuous seating for five adults, swooning dash lines that taper away toward the front passenger’s side and an optional twin panoramic glass roof to watch the stars glittering in the night sky. In the centre of the dash is a free standing display screen which provides the driver with information on all the important features that make the Gran Turismo drive very special. Large storage compartments around the cabin mean that the BMW 3 Gran Turismo is as practical as it is stylish. Impeccable craftsmanship gives the Gran Turismo the stroke of approval, and a nice tight fit-and-finish means that BMW’s use of premium materials will not be cheapened by those annoying rattles you can sometimes discover with cheaper built cars. On a practical note, the BMW 3 Gran Turismo has space for 1.0 litre drinking bottles in the big door consoles. Helping to prevent thirst, the climate air-conditioning has front and rear zones to keep all occupants cool despite soaring temperatures outside the car. There is 520 litres of boot space, though this grows another 33 litres when the cargo function is selected. If you have no rear seat passengers, the back seat can rest flat to give a massive 1600 litres. With this sort of space, the BMW 3 Gran Turismo is a pleasure for any weekend away. One other ingenious feature is that if you head back to the BMW 3 Gran Turismo with your hands full after shopping, you can open up the boot lid by just passing your foot underneath the back end of the car. Now that’s cool! With plenty of performance packed under the bonnet, you’ll be glad that the BMW 3 Gran Turismo comes with adaptive cruise control. This is a feature I find I use a lot in some performance-orientated modern cars. It’s not that I drive excessively fast; it’s just that policing of the legal road limits seems to be getting tougher and tougher. If you find yourself a little turned off by a monotonous straight road, then BMW have equipped the 3 Gran Turismo with high end features that entertain and relax. You have on-board the 3 Gran Turismo one of the best production sound systems you’ll enjoy anywhere. Harmon Kardon are noted for being masters of sound and the Harman Kardon Surround Sound System offers a listening experience to rival any live concert. Top-quality sound is put through an array of sound balancers and equalisers for an exceptional 16-speaker sound experience. Seven speakers are mid-range, seven speakers are tweeters and two pump out the central bass notes. Awesome! Internet connection, heated seats and Bluetooth communications are other standard features. 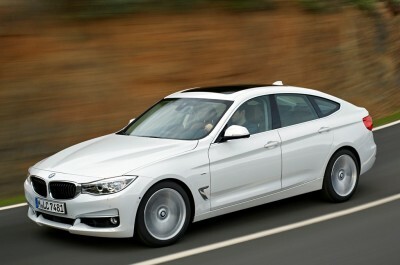 Safety is also a premium feature of the new BMW 3 Gran Turismo. Features like a BMW Head Up Display, a lane departure and lane change warning device, active headlights, an array of active safety features, plus the best passive safety features are available. Twin-turbo petrol and diesel engines provide class leading performance, while the car handles like it’s on rails. For any more information on the new BMW 3 Gran Turismo or, for that matter, any other new car, contact one of our friendly consultants on 1300 303 181. If you’d like some fleet discount pricing (yes even for private buyers! ), we can submit vehicle quote requests out to our national network of BMW dealers and come back with pricing within 24 hours. Private Fleet – car buying made easy!